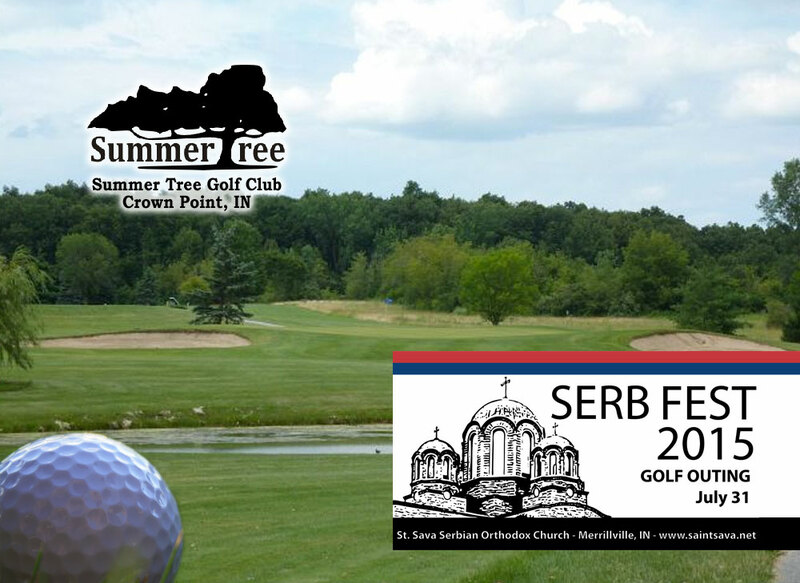 [fusion_text]The St. Sava Serb Fest 2015 is quickly approaching, taking place July 31, August 1 & 2 in Merrillville, IN – www.saintsava.net/serb-fest. One of the many special features of the St. Sava Serb Fest is Lamb – an integral part of our Serbian culture. Sharing food with family and friends is important in building relationships and fellowship. Have you ever thought about the guys behind the scenes who are waking up at the crack of dawn to prepare that delicious lamb? Who are they and where do they come from? Nick Knezic has been a member of St. Sava Church his entire life and started cooking lamb when he was a child. He learned the skills from his father, Lazo Knezic, who has recently retired from the group (but not officially). Nick is a graduate of Merrillville High School and works as a Union Electrician for Local 697, specifically MJ Electric. He lives in Valparaiso with his wife, son and dog (Tesla). His son, Lazo, will soon begin his training in hopes that he will carry on the family tradition and serve his church. Mark Lash lives in Crown Point with his wife Janie and sons Nikola and Joseph. Mark and Nick are Kumovi and have worked together for many years, particularly at Old Mill Pizzeria. Mark works at USS and is always taking his family on fun adventures! Mark’s mother, Marcy, used to be the hall manager on 49th Avenue. Damian Tomich, former co-owner of Mauer’s Meats in Hobart, has been turning lambs since he was a child. His Father (Milan) and brother (Danny) have also been part of the St. Sava Lamb team for many many years. The Tomich Family has volunteered countless hours to St. Sava Church. Damian lives in Hobart with his wife Laura, and daughters Gabrielle and Jillian. Damian works for Davita Dialysis. Other notable lamb turners are Steve Kljajich, Stevo Djankovic, Dule Pejnovic, Tony Mancich and Mico Serdar as well as many others. Stop by during Serb Fest to say hello to all of these hard working men! Remember that lamb is not only available at Serb Fest. 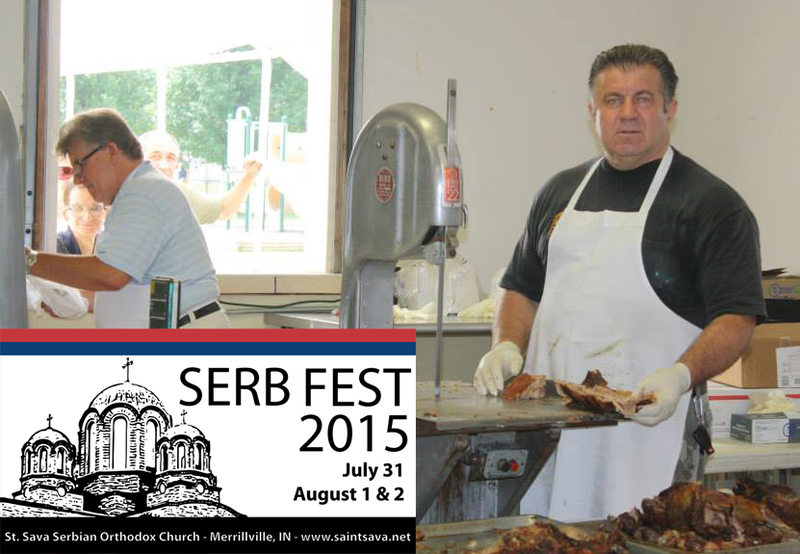 St. Sava will offer lamb (and pig) during the Sunday’s leading up to Serb Fest and following through September. Pre-order by the Wednesday prior by calling the church office at 219-736-9191.